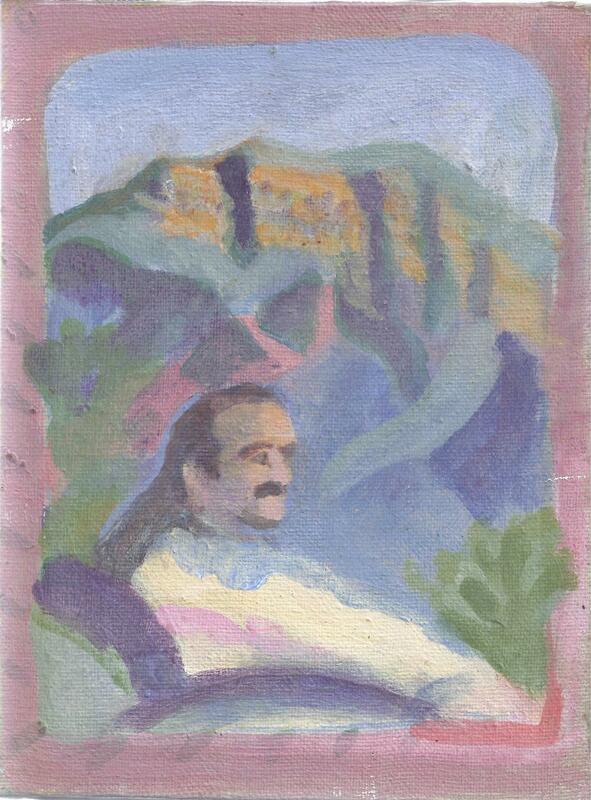 In the foreground, Meher Baba is seated in a chair. During His 1956 visit to Meher Mount, Meher Baba met with His followers in the guesthouse (since destroyed by fire in 1985) and sat in a similar chair. The Bluffs, to the northeast of Meher Mount, are famous for the Ojai Valley's "pink moment" when the sunset casts a pinkish hue on the mountains. "Now, go out and see the view and try to love Baba through nature. This is all due to my love. This whole creation, this nature, all the beauty you see, all came out of me."